Discover CeraVe’s Gentle, Effective Skincare! Find the Right Skincare For You! Lock in Moisture & Soothe Skin! 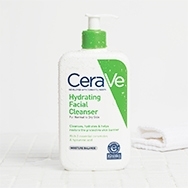 The CeraVe cleansers are specifically formulated for sensitive facial skin that is normal to dry and prone to irritation, including eczema. With three essential ceramides & hyaluronic acid this soap free, non-foaming lotion gently removes dirt and oil while increasing skin hydration after just one use. 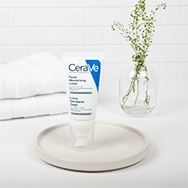 CeraVe helps repair and restore the skin barrier. What makes CeraVe new, different and better? Containing Ceramides and Hyaluronic Acid, a MVE delivery Technology System releases the key ingredients over 24 hours by slowly and continually releasing ingredients into the skin. 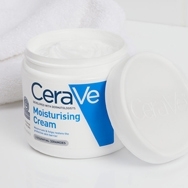 CeraVe Moisturisers provide all day hydration for dry to very dry skin on the face and body. With three essential ceramides & hyaluronic acid this cream supports the skin barrier and moisture for 24 hours. This specifically formulated, lightweight formula moisturises, restores and maintains the protective skin barrier of the body. With 3 naturally occurring ceramides & hyaluronic acid which are essential in supporting the skin barrier and retaining moisture. Utilises patented MVE® delivery technology to help replenish ceramides and deliver controlled, long lasting hydration for 24 hours after just one use. 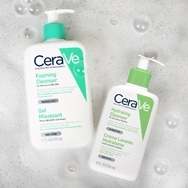 CeraVe Face products are fagrance free and suitable for sensitive skin and all the family. 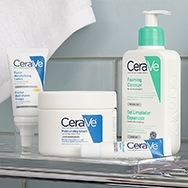 CeraVe Supersizes are great value for money and are suitable for sensitive skin and all the family. 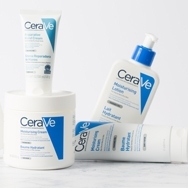 View all of CeraVe products in one place.